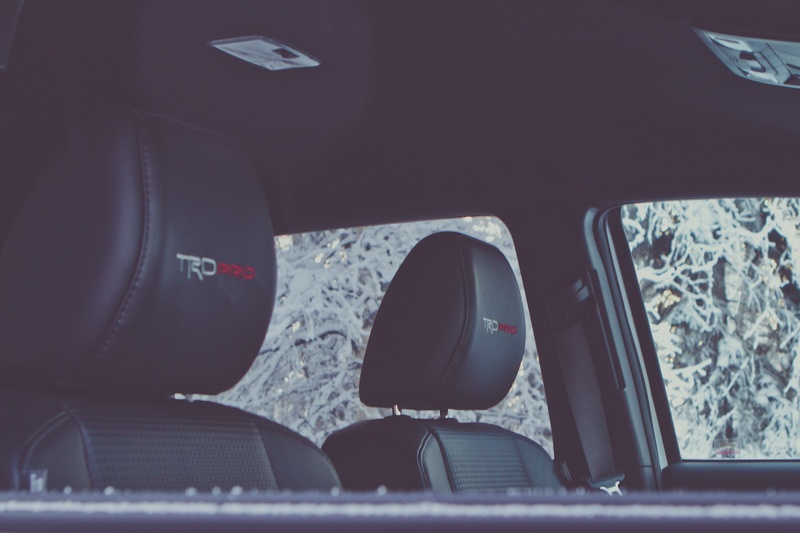 The temperature gauge registers minus-33 as the Brooks Mountain Range comes into view, our convoy of TRD Pro 4WDs pushing north to the Arctic Ocean. At the lead was the 2017 Tacoma TRD Pro, the most capable pickup truck ever produced by Toyota. 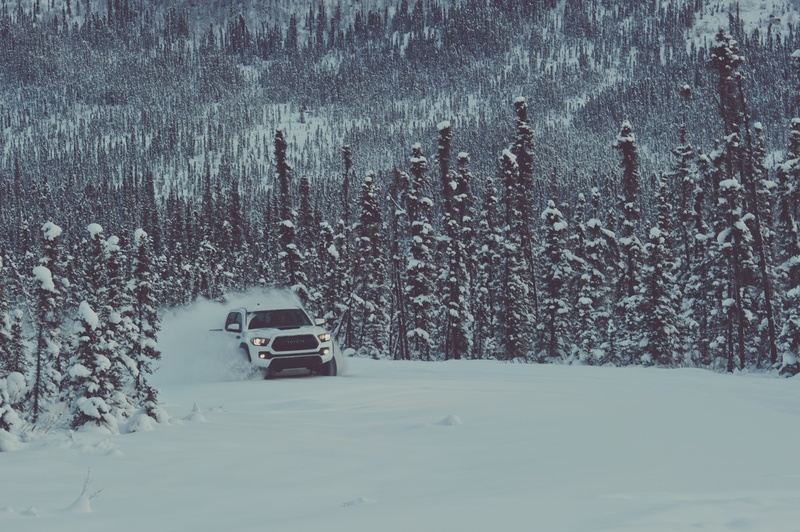 Our team of Andy Bell, Ryan Millen, and Sinuhe Xavier had traveled thousands of miles to the extreme northern reaches of the North American continent to test the vehicles – and ourselves. 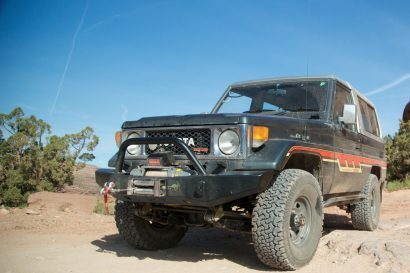 As most manufacturers have trended towards light-duty AWD SUVs, Toyota has stayed true to the origins of the brand and still produces proper body-on-frame 4WDs. 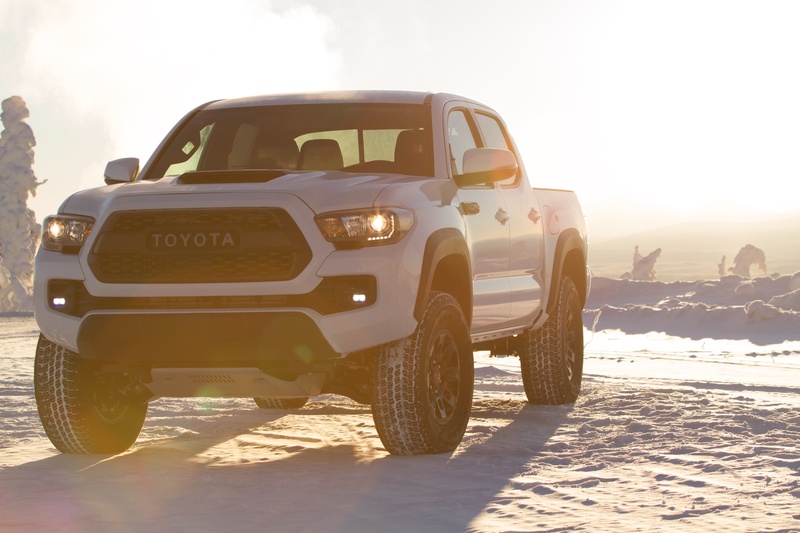 For 2017, the TRD Pro lineup includes the Tundra, 4Runner, and now the Tacoma. Most important, these are not just limited edition vehicles with a few badges and custom graphics. 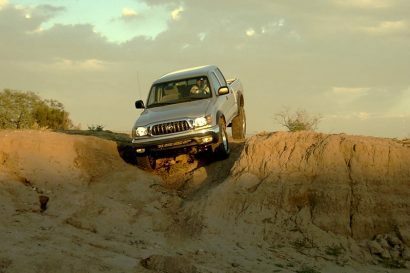 These 4x4s have genuine modifications to improve both performance and durability. Parked along the Dalton Highway in Alaska. Images show pre-production model tha may vary slightly from final production. 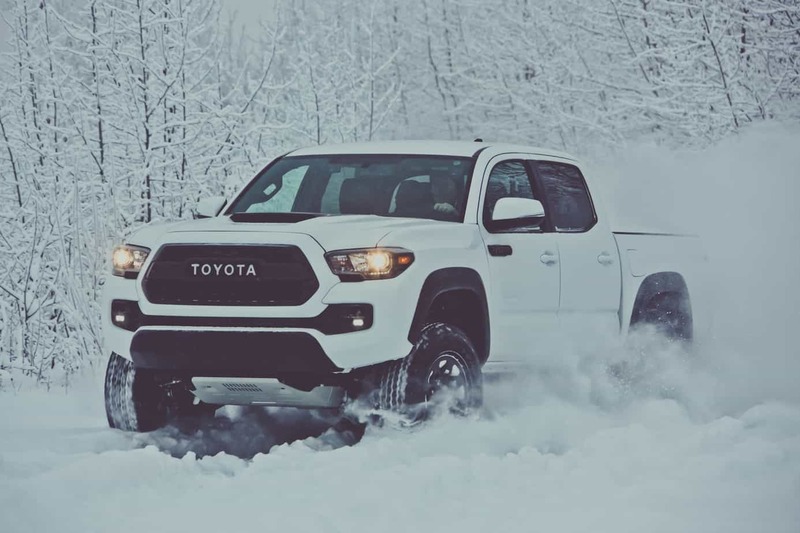 With 2016, the Tacoma received a major redesign, the country’s best selling compact truck gaining an additional speed in the automatic transmission and a 3.5-liter, 278-horsepower V6. Both the body and interior were significantly revised, adding a refinement not present in previous models. 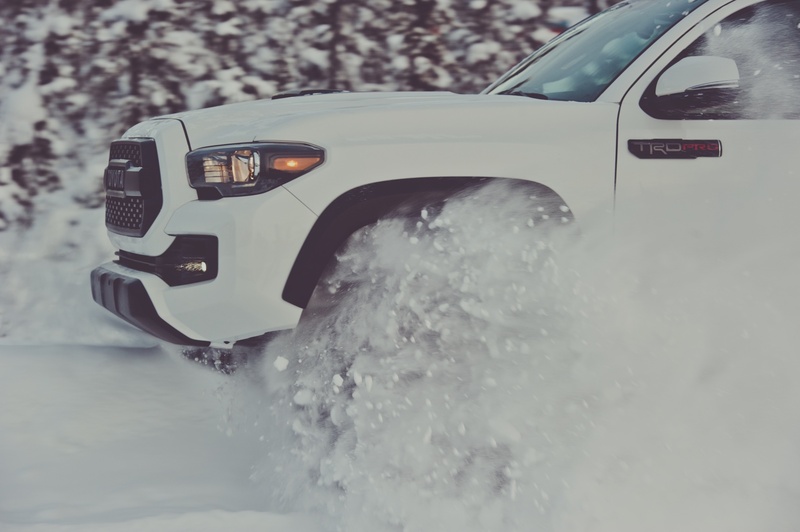 As I drove for days through the Arctic, all of these significant and subtle improvements became apparent, from multi-level heated seats to the traction afforded by the multi-mode terrain response. 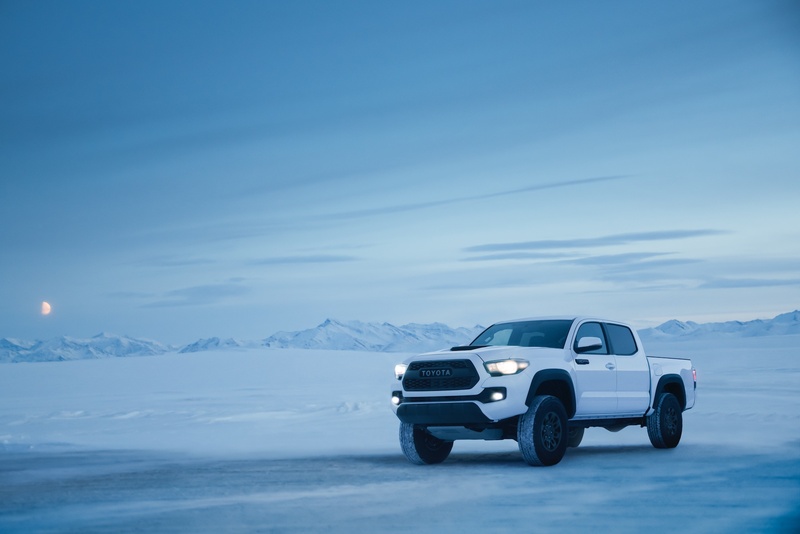 We are the first editors to test this new model for review, our insights gained from this overland adventure to Prudhoe Bay, Alaska, on the shores of the Arctic Ocean. 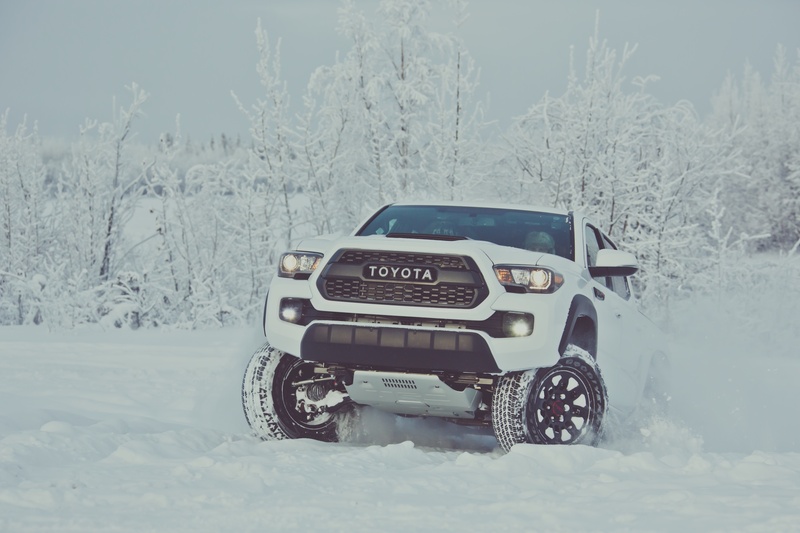 Without question, the 2017 Tacoma TRD Pro is the most capable compact truck Toyota has ever produced, eclipsing even the venerated HiLux for technical terrain and high-speed dirt performance. I do not make these accolades lightly, having owned both earlier Tacomas and even solid axle HiLux models. The list of new features is significant, but starts with a robust foundation, the all-new 2.5-inch Fox Internal Bypass coil-over shocks. This suspension was custom tuned by FOX and TRD engineers to both support overland loads and to handle high-speed dirt road travel. The rear shocks also include remote reservoirs for increased fluid volume, all contributing to less heat-induced fade and better overall damping effectiveness. The performance of the new suspension was immediately apparent once I took the wheel, surface irregularities transmitting a rounded feedback to the occupants, even deep potholes softened while still maintaining stability and control. Directness and straight line stability has also improved with this new suspension, the hoodline remaining flat even under aggressive directional changes. This stability was particularly apparent on the ice-covered roads to Prudhoe Bay, where even modest impacts can significantly affect directional control. 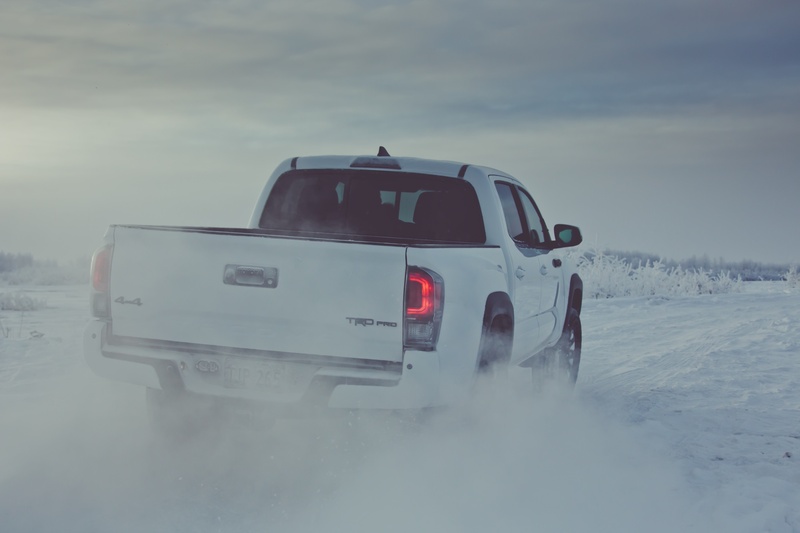 However, the Tacoma remained true to course and required only minimal countersteer even one ice and wet snow. 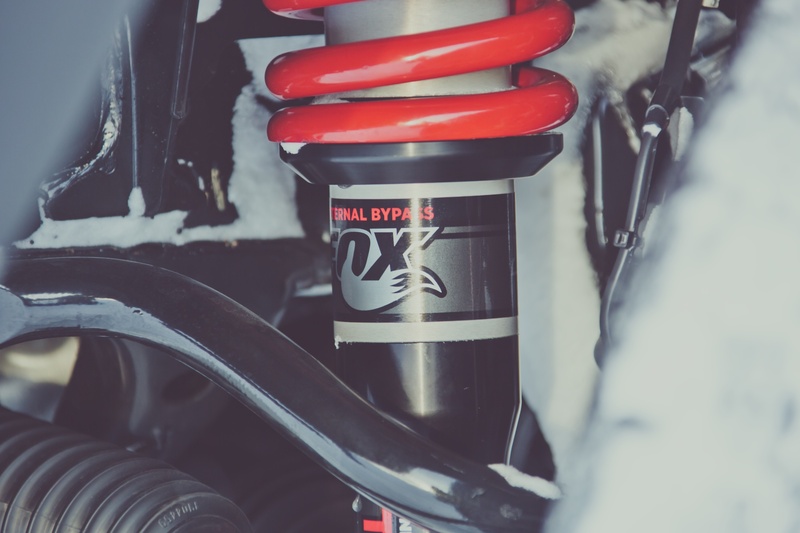 For slow-speed technical terrain, the new Fox suspension continues to reward the driver, articulation improving with additional droop travel, and overall ride height in the front increased by one inch over stock height. The spring rate was also softened slightly to improve frequency tuning at slow speeds (think rock crawling) and to allow for better ride quality. 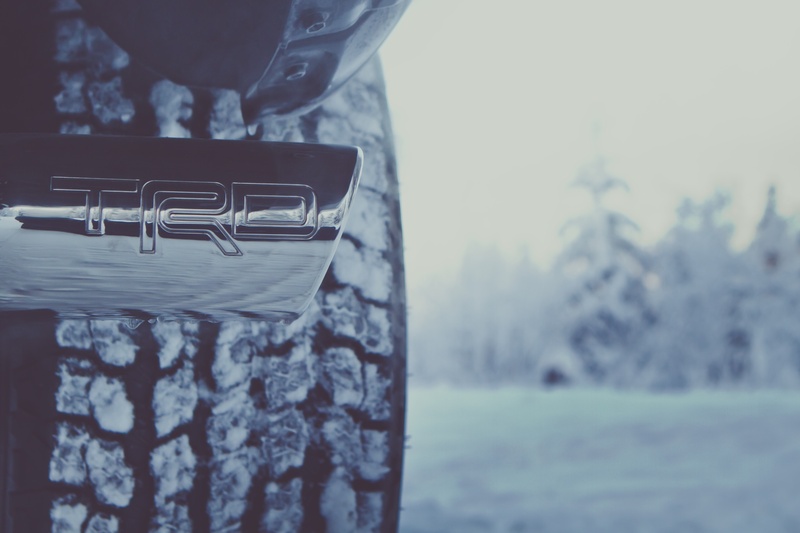 The rear springs from the TRD Off-Road were chosen by TRD for their progressive rate, again improving ride comfort while still allowing for full payload capacity. 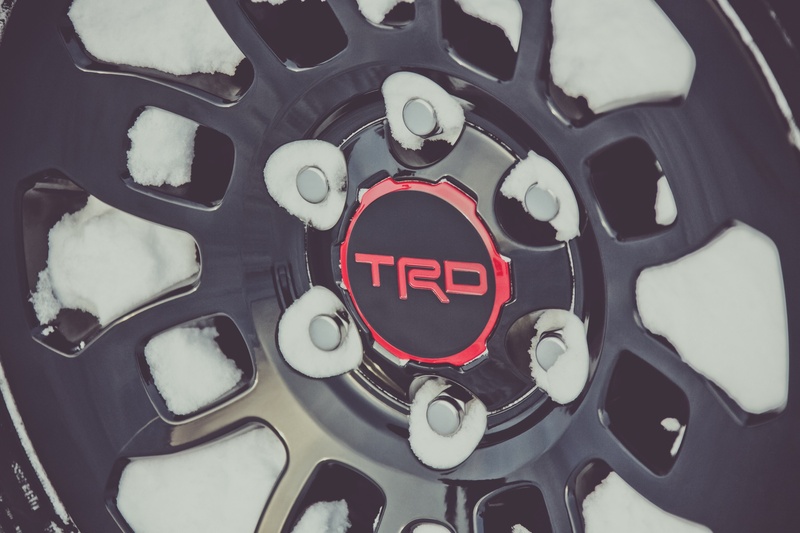 For traction, the TRD Pro comes standard with a rear locking differential (driver selected) and multi-mode traction control called Multi-terrain Select. This is the next evolution of A-TRAC, providing adjustments to the traction control algorithms for loose rock, sand, and mud. The same dial in the roof panel allows for activation of crawl control, which manages precise throttle and braking inputs automatically. While the system is easily dismissed by more experienced drivers, it is a useful tool in several conditions, particularly on steep descents. It can also be used as a recovery solution in sand and snow, each wheel turning slowly and independently to (potentially) extract the truck. 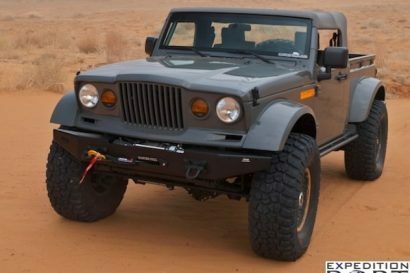 Final enhancements for off-highway driving includes the ¼-inch thick aluminum skid plate which protects the lower radiator all the way back to the transmission. The plate is so robust that Toyota included a jacking point into the stamping. This skid plate is as strong and effective as any aftermarket solution. For use on the trail and the highway, this 2017 model also delivers with factory Rigid Industries LED fog lights in the front bumper. 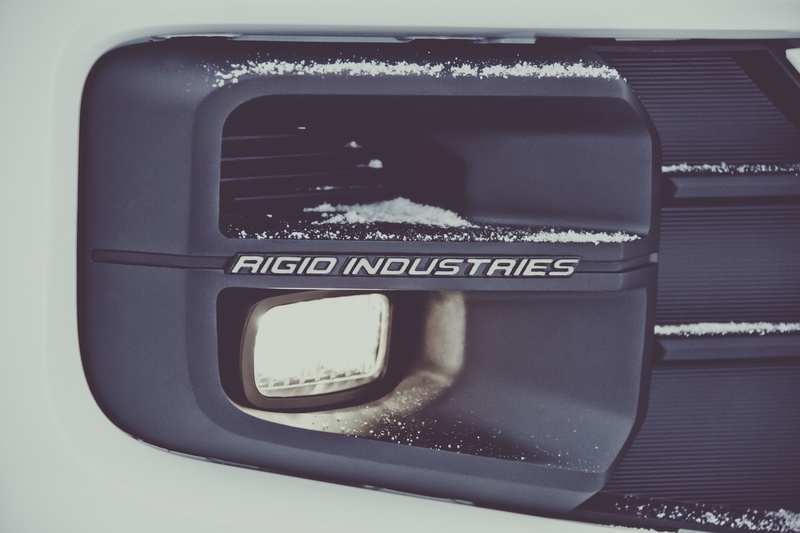 These lights provide a 35-degree beam and a sharp cutoff to prevent blinding other drivers. We used these lights extensively in the Arctic and with great effect. The bezel is also custom to the TRD Pro and based on my initial inspection, it looks like a few modifications would allow fitting a second LED in the same housing. My only criticism of the trail performance is the factory tire fitment, which certainly favors good fuel economy and noise, vibration and harshness (NVH). The Goodyear Kevlar model is certainly strong, but could benefit from a more open tread pattern and increased siping for wet and icy conditions. Fortunately, tires are easy to change and this truck has room to easily fit a +1-inch taller size. It is impressive and encouraging to see such legitimate trail hardware on a factory truck. 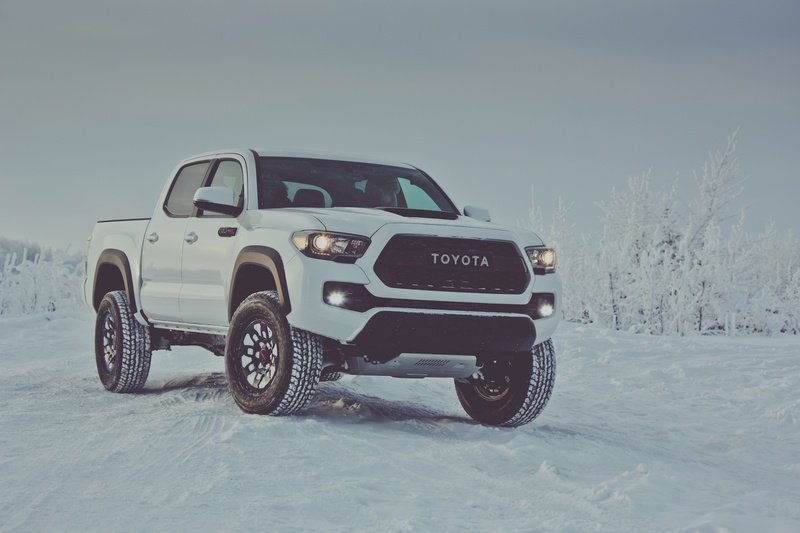 Toyota is providing serious hardware with the newest TRD Pro models, including well-known industry brands like FOX and Rigid Industries Lights. On the highway, the new Tacoma is a significant improvement in ride quality, comfort and refinement. As I drove for hundreds of miles on snow-covered roads and trails I noted how enjoyable the on road experience is, an exponential improvement over my first pickup, a 1984 Toyota Hilux. Not only is the new Tacoma way more comfortable that my old truck, it has nearly three times the horsepower and by some form or witchcraft actually gets two miles per gallon better fuel economy than the old 4-cylinder 22R (the new Tacoma gets 21-24 on the highway based on our testing). All of the luxuries are present, which includes climate control and heated seats. The stereo paired easily to my iphone and produced powerful and clean sound. Fortunately I had an extensive playlist, as there were no radio stations above the Arctic Circle and the XM channels stopped working north of Fairbanks. When I grew tired of my music, the note from the TRD tuned exhaust was enough to keep the good vibes rolling. 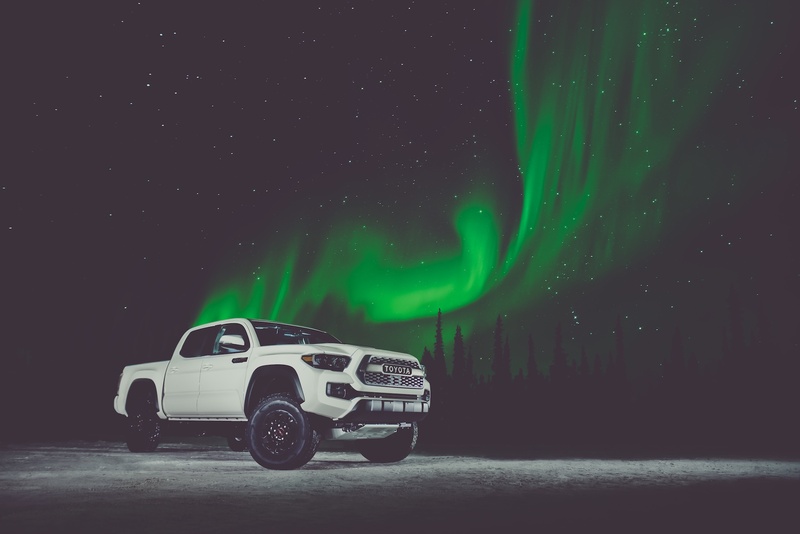 The Tacoma on the North Slope of Alaska, just as the moon rose above the Brooks Range.